Dante Law Firm | Millions Recovered. FREE Consultation, Call (305) 949-2526. Miami Personal Injury Lawyer. Miami Accident Lawyer. Commercial Truck Accident Lawyer. Truck Accident Attorney. Florida Accident and Injury Lawyer. Get the compensation you deserve for your injuries. If you or a loved one is a victim of a truck accident, call the Dante Law Firm, P.A. 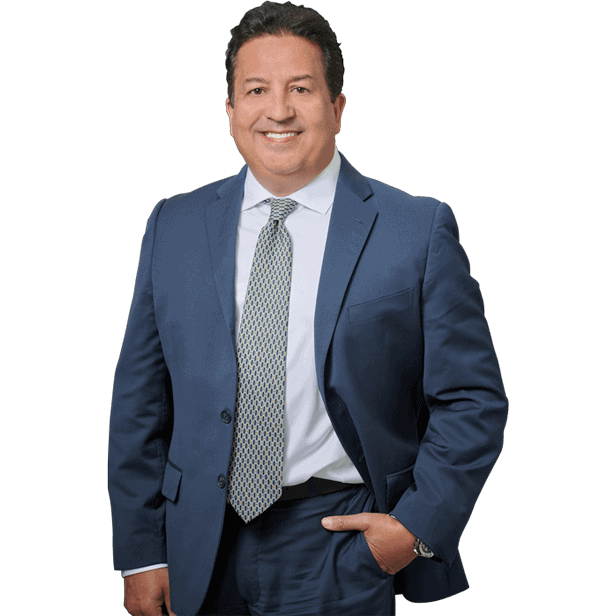 Speak with our truck accident attorney in North Miami Beach, Mr. Victor Dante. The initial consultation is free of charge, and if we agree to accept your case, we will work on a contingent fee basis, which means we get paid for our services only if there is a monetary award or recovery of funds. Don’t delay! You may have a valid claim and be entitled to compensation for your injuries, but a lawsuit must be field before the statue of limitations expires. What Type of Truck Accident or Personal Injury did you have? Accidents involving large trucks are among the most serious accidents and most deadly in the United States. At Dante Law Firm, we recognize that handling these cases requires a thorough understanding of commercial vehicle regulations on both the federal and state level. Trucking companies are required to follow Federal Motor Carrier Safety Regulations concerning their equipment and their driver’s hours of service. In Florida, the Department of Transportation is also charged with the task of adopting regulations regarding the safety of motor carriers Fla. Stat. 316.302. When someone is injured in a truck accident, many people blame the motorists or motorcyclists for their own injuries; however, in most cases the trucking companies and truck drivers are often to blame. Trucks are frequently put on the roads and highways that are not properly maintained. Overloading a truck is another big problem — often companies put more freight on a truck than it is rated for and this can cause devastating results. Many trucking companies have mileage incentives or requirements for drivers which often lead to excessive time on the road without rest. Other trucking companies put tremendous pressure on truck drivers to meet certain delivery times which causes faster speeds so they will arrive on time. These practices often end up causing accidents with other cars, trucks, motorcycles, bicycles or pedestrians. Florida attempts to deal with this by imposing strict rules on the number of hours a Florida truck driver can be at the wheel of a large truck. Generally, a person who operates a commercial motor vehicle solely in intrastate commerce (not transporting any hazardous material) may not be at the wheel more than 72 hours in any period of 7 consecutive days (Fla. Stat. 316.302). Despite this rule, careful examination of records after a Florida truck accident often shows serious and even fraudulent violations of these safety regulations. However, trucking companies in Miami are only required to maintain many of those records for six months. Without obtaining those records before they are destroyed, the injured person or survivors of a person killed in a truck wreck will have a much more difficult time proving the trucking company’s negligence. For this reason, it is imperative that you speak with a Miami Truck Accident Lawyer immediately after the accident. Nationwide, one out of nine traffic fatalities in 2013 resulted from a collision involving a large truck. In 2013, 380,000 large trucks (gross vehicle weight rating greater than 10,000 pounds) were involved in traffic crashes in the United States; 4,066 were involved in fatal crashes. A total of 4,229 people died (11% of all the traffic fatalities reported in 2013) and an additional 90,000 were injured in those crashes. In 2012, large trucks accounted for 8% of all vehicles involved in fatal crashes and 4% of all vehicles involved in injury and property-damage-only crashes. Seventy-five percent (75%) of fatalities in large truck crashes were occupants of other vehicles involved in the crash. Only 17% of fatalities involved drivers or occupants of large trucks. Large trucks were much more likely to be involved in a fatal multiple-vehicle crash — as opposed to a fatal single-vehicle crash — than were passenger vehicles (82% of all large trucks involved in fatal crashes, compared with 59% of all passenger vehicles). Most of the fatal crashes involving large trucks occurred in rural areas (62%), during the daytime (66%), and on weekdays (78%). The percentage of large-truck drivers involved in fatal crashes that had a blood alcohol concentration (BAC) of .08 grams per deciliter (g/dl) or higher was 1% in 2012. The BAC level for all commercial vehicle operators in every state in the U.S. is .04 g/dL, half of the legal limit of .08 for all other drivers. Laws involving truck accidents are governed by regulations that apply specifically to commercial trucking companies, their trucks and their drivers. The technical, mechanical, engineering and accident reconstruction aspects to these cases distinguish them from other motor vehicle accidents. These reasons are why victims should consult an experienced Florida truck accident lawyer as soon as possible after a crash. Get an evaluation from an experienced South Florida truck accident lawyer such as the Dante Law Firm, P.A. Prohibit commercial driver’s license (CDL) holders driving under the authority of the passenger-carrying or school bus endorsement from using a cellular telephone. Improve collection and maintenance of data concerning hours of service (HOS) of motor carrier drivers by requiring use of electronic onboard recorders (EOBRs). Prevent motor carriers from operating if they put vehicles with mechanical problems on the road or unqualified drivers behind the wheels. Establish a comprehensive medical oversight program for interstate commercial drivers. Ensure that examiners are qualified and know what to look for. Track all medical certificate applications. Enhance oversight and enforcement of invalid certificates. Provide mechanisms for reporting medical conditions. Reduce rear-end collisions through use of adaptive cruise control and collision warning system technologies. Redesign motorcoach window emergency exits so passengers can easily open them. Issue standards for stronger bus roofs and require them in new motorcoaches. Devise new standards to protect motorcoach passengers from being thrown from their seats or ejected when a bus sustains a front, side, or rear impact or rolls over. In all Miami truck accident cases, it is essential that measures be taken promptly to preserve evidence, investigate the accident in question, and to enable physicians or other expert witnesses to thoroughly evaluate any injuries.